C&C Resources saw great opportunity in Saskatchewan’s forestry industry. The B.C.-based company acted on what it saw and has turned an investment in an idle lumber mill into Edgewood Forest Products — a thriving, growing business in east-central Saskatchewan. 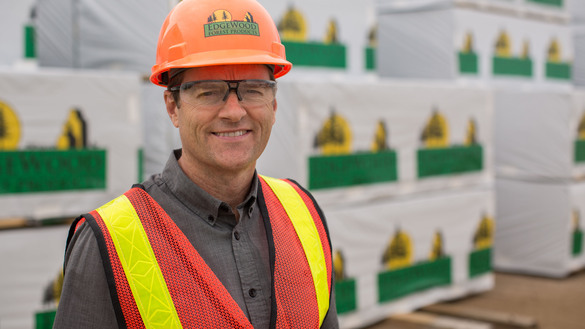 Among the province’s other high-profile economic sectors, its forestry industry has been generating economic growth and jobs thanks to innovative companies like Edgewood. Besides being the second-largest industry in northern Saskatchewan, generating $1.2 billion in economic activity, forestry also directly employs more than 8,000 people. The industry’s success makes sense, since over half of the province’s land mass is covered by forest. That’s roughly 11.7 million hectares. “The current Annual Allowable Cut (AAC) for timber harvested from the Commercial Forest Zone is 8.4 million cubic metres, and Saskatchewan is currently harvesting about 4.1 million, leaving plenty of opportunity for investment,” says Shane Vermette, executive director, Forestry Development, Saskatchewan Ministry of Energy and Resources. The provincial government is consequently forecasting more growth, with forestry-related business eventually generating more than $2 billion annually, providing good-paying jobs for more than 12,000 people. “We had a strong belief there was a good business opportunity in Saskatchewan that was under-realized in forestry,” says Ron Dunn, the chief operating officer of C&C Resources, which helped launch Edgewood in Carrot River, Sask., after purchasing a shuttered lumber mill there in 2009. Today, Edgewood is the leading employer in the region. It produces lumber for the housing construction market in the United States and fibre for C&C’s popular decorative tongue-and-groove interior wood panels. Edgewood is also setting an example by being at the forefront of sustainable practices. “We harvest emulating natural forest patterns in the land base so it might look like what a fire might do or disease,” says Trevor Reid, Edgewood’s general manager. Indeed, forestry is among the most environmentally sustainable of all resource industries. “We plan several hundred years ahead in terms of how we manage the resource,” Reid says. To that end, replanting programs ensure forests will regrow and be there for future generations. What’s also important for the industry is working closely with the communities in which it operates, including First Nations and Metis communities. “Because much of the land base is on traditional territory we include First Nations in our consultation and if there are employment opportunities, we try to work with these communities as best we can to provide jobs,” Reid says. Forestry is a major employer of Indigenous peoples in the province. More than 30 per cent of the industry’s workforce is Indigenous, Government of Saskatchewan figures show. That is the largest percentage of Indigenous workers of any Canadian province for the forestry industry, provincial data show. But the economic activity generated by forestry goes far beyond Indigenous communities in Saskatchewan. All told, the 10 large forestry-based manufacturing facilities in the province produce lumber, pulp, oriented strand board and value-added products like wood panelling. Moreover, more than 170 small businesses manufacture a variety of forestry products, and more than 235 supply-chain businesses — like haulers and harvesters — operate in Saskatchewan. Central to the success of the industry is innovation. That’s certainly been a winning recipe for Edgewood. Dunn points to its investment in a saw-line from a German manufacturer called Linck — an industry-leader in high-tech forestry equipment. The timing of Edgewood’s decision a few years ago to invest in Saskatchewan couldn’t have been better. The refurbished mill in Carrot River reopened in 2012, just as the U.S. housing market began to recover. Today, about 85 per cent of the company’s lumber goes south of the border. And even with tariffs, the industry is economically sustainable. In fact, Edgewood recently launched a third shift at its mill, and now employs 150 full-time workers along with another 200 woodlands workers in the region, which has a total population of about 2,000 people. And while Saskatchewan’s vast resource of trees has made companies like Edgewood successful, so too has its hardworking, skilled workforce, Dunn says.